We’re equally comfortable with previous generation carburettors and ignition systems, as with the very latest electronic engine management systems. We learned our craft on Weber, Dellorto, Holley etc carburettors and ignition distributors, and continued to remain at the forefront of emerging technologies right up to the very latest powertrain ECU’s. Correct and accurate engine calibration (often called “tuning”) is absolutely essential for ensuring maximum engine performance and reliability. Over the decades that we’ve been doing this, we’ve developed a completely reliable and repeatable method of optimising the engine so that the maximum amount of torque is developed with the minimum amount of mechanical stress on the engine components. There is no “art” to this (despite what others may assert), it’s a pure science! 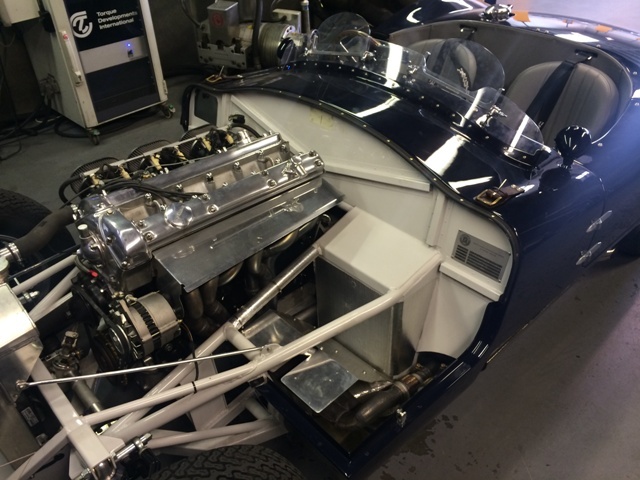 Having founded the Academy of Motosport Sciences which teaches other people how to optimise engines, you would be right to expect the very highest levels of knowledge and service from us. People travel from all over the world to attend our training courses and have their engines tuned by us! To be able to apply the experience and knowledge properly requires the very best equipment. 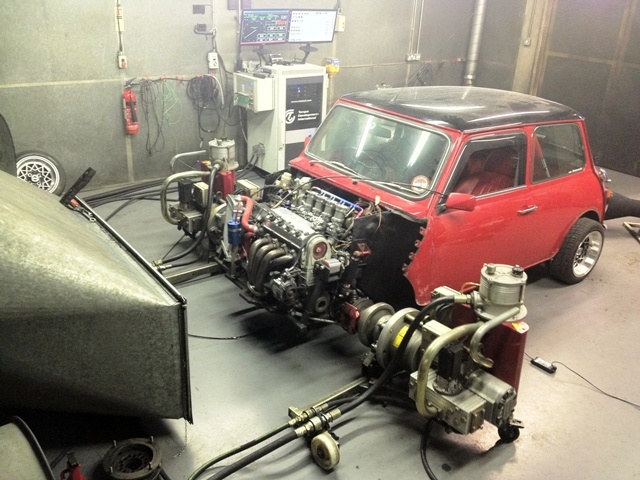 We were the 1st UK company to install a 4WD rolling road back in the 1990’s but we later upgraded to the Rototest hub-mounted chassis dyno with fully ventilated and sound-proofed test cell, which is widely regarded as being the best facility available to the general public in the UK. 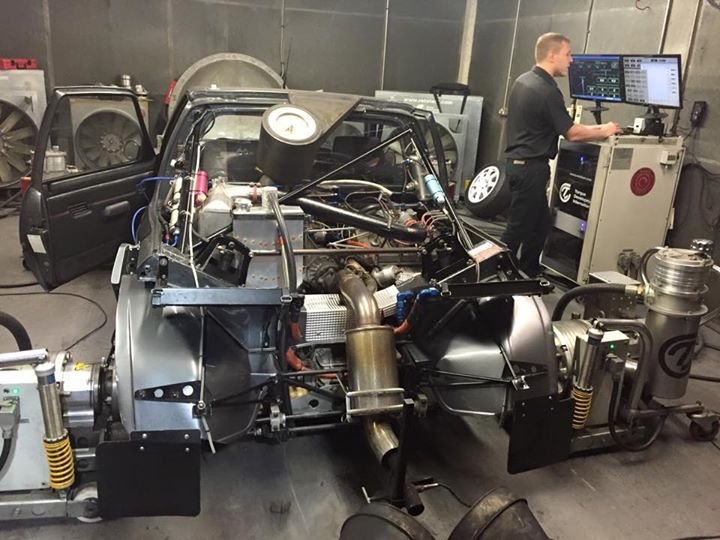 We were the first tuning company in the UK to use the Rototest VPA-R, providing comprehensive scientific quality testing methodologies to the general public. Up until then this level of testing had been the sole reserve of Tier 1 manufacturers and well-funded race teams such as Cosworth, Penske Racing, Andretti, Opel, Mercedes-Benz, Chrysler, Shell etc. 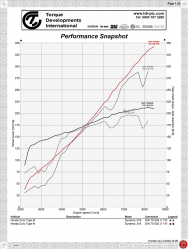 The reason that we selected Rototest over cheaper chassis dynamometer systems is because of the superior control, accuracy and repeatability that it affords. 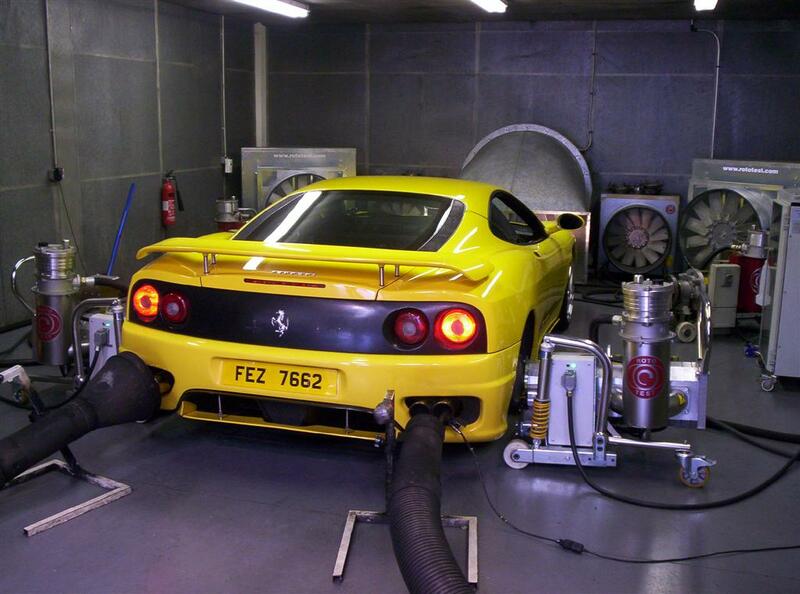 Rototest actually invented the hub mounted dyno system and held the patent for this design. Being directly bolted to the wheel hubs overcomes difficulties and inaccuracies associated with a rolling road chassis dyno. 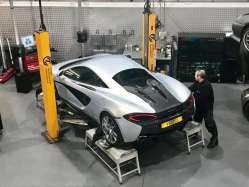 Suspension camber and toe angles, tie-down tension, tyre slip and carcass deformation, changes in tyres temperature/pressure and the danger of explosion etc are all completely eradicated thanks to the Rototest system. There is also an important consideration concerning the potential for undetected tyre damage caused by rolling roads. Add in the potential for the car to come loose during testing (particularly those with very high power outputs) and you can see why we do not use a “rolling road”. The combination of first class equipment, knowledge and skills affords Torque Developments with exceptional ecu remapping and carburettor tuning capabilities, and we are familiar with most brands of ECU’s and carburettors.